For various reasons, you may be thinking about making a change in your life, or would like to take up something new. At UWTSD, we support adults who would like another chance at education, which is why we offer the Gateway to the Humanities course. The Gateway is purposely designed for individuals from a wide range of backgrounds and experiences, to embark upon a fresh challenge and learn something new which will hopefully open up many exciting (and perhaps unexpected) future opportunities. Classes start gently with a regular weekly timetable of only a few hours a week to get you used to being a student and to fit around your other commitments. You are taught in small groups and are given one-to-one tutorial support to get you going. You will become part of a fantastic community of students from various walks of life who are all keen to learn in a collaborative, stimulating and – most importantly – fun environment. Anyone can apply and enrol on the course and with successful completion of the year you will be furnished with a set of skills that will have both broadened your outlook and your abilities. You can always continue your studies and embark upon a degree in a subject of your choice! I happened to be walking through the university when I came across Jason, who I had met at last year’s Gateway to the Humanities Open Day. I hadn’t seen him since then, so it was a great opportunity to catch up and see how he was getting on. My first question – ‘how is uni?’ – was met with a huge smile and Jason filled me in on his experience over the year. His experiences make me feel very proud of UWTSD and the Gateway programme. Jason’s tale is a prime example of how Gateway can help transform and enhance lives… I’ll pass it over to Jason! “I come from west London originally and have been working in the Care sector for around 25 years in a supporting role to colleagues and patients. I love my job but always wished I could have gone further and made something of myself academically. Unfortunately, though, growing up I never excelled academically and always felt there was something wrong with me but could never put my finger on it. I knew I suffered with lack of confidence and was always being treated as though I was not good enough. Then, one day my partner saw a Gateway advertisement in the county advertiser. Knowing how I felt, she said to me why not have a read. For some reason after reading I felt this could be my opportunity of gaining some basic skills that might even take me further. When I came to the Open Day I was very nervous, but it wasn’t long before I was approached by one of the staff that made me feel very welcome. Slowly I started to feel less nervous as more members of staff started to explain what the Gateway was all about, how they wanted to help us to do well. I spoke to a member of staff and asked was there any support? To my surprise I was led to someone who could help set up lines of support straight away. After doing some assessment tests to see what areas of help I needed most, it turned out I have dyspraxia. Full support and equipment was put in place for me to help achieve my goal and throughout my Gateway experiences I was supported through the challenges and I can only thank them for their patience and tolerance. I completed the first semester of The Gateway to the Humanities and transferred straight to the first year of a degree programme. I am now enjoying my chosen degree course of BA Nautical Archaeology. This is an area of study I never thought I would end up doing, but when growing up in London it was always a boyhood dream of mine. I never thought at the age of forty-six I would actually end up doing it. The Gateway is course for students to improve their education and prepares you to study for a degree. Unfortunately, I missed out on my education over 30years ago and the Gateway has given me the opportunity to study again. The course is run by a team of dedicated, smart and humorous bunch of lecturers who want you to succeed and teach you at the highest standards to do well. I enjoyed The Gateway course with its flexible hours, allowing me to continue working, travel on public transport from Whitland to Lampeter and enough time to complete studies. The Gateway prepared me to study for a degree in Creative Writing. 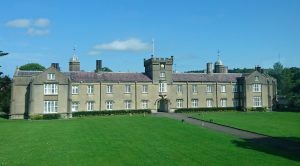 I am a first year student on second semester and enjoy my new life as a BA student at Lampeter. The UWTSD Lampeter is a community of wonderful people who are friendly and always on hand to help you. The Study Skills are there for you in all stages of your education and we are fortunate to have a good library department with experienced staff to show you the way. The lecturers are the best in the world! We are lucky to have the quality of teaching staff here at Lampeter. The Gateway has given me the opportunity to study for a degree and to experience a wonderful and happy life at University. We are fortunate to have this opportunity of a second chance at education and the Gateway is a chance to further your education with a degree and the opportunity to experience university life.